biotech, port operations and more! 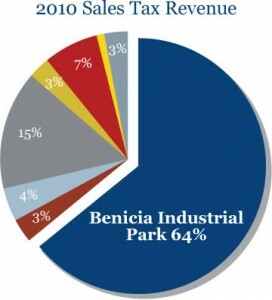 In 2010, the Benicia Industrial Park contributed 64% of the City of Benicia’s total sales tax revenue ($3.5 million). For every dollar the City of Benicia spends providing services to the Benicia Industrial Park, the City of Benicia receives five times that in return.